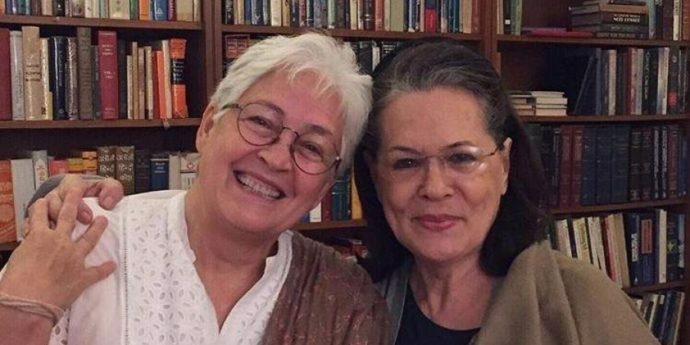 She made the revelation Saturday via Instagram on which she shared a picture of her with good friend and Congress leader Sonia Gandhi, who paid her a visit post the diagnosis. NEW DELHI: Veteran film and theatre actor Nafisa Ali revealed she has been recently diagnosed with stage three cancer. “Just met my precious friend who wished me luck and to get well from my just diagnosed stage 3 cancer,” Ali, 61, captioned the photograph. Born in West Bengal, Nafisa made her acting debut in 1979 with Shashi Kapoor’s ‘Junoon’. Her other acting credits include ‘Major Saab’, ‘Life In a Metro’, ‘Yamla Pagla Deewana’ and ‘Saheb Biwi Aur Gangster 3’. Ali is currently a member of the Congress party. She contested in 2009 elections on a Samajwadi Party ticket.